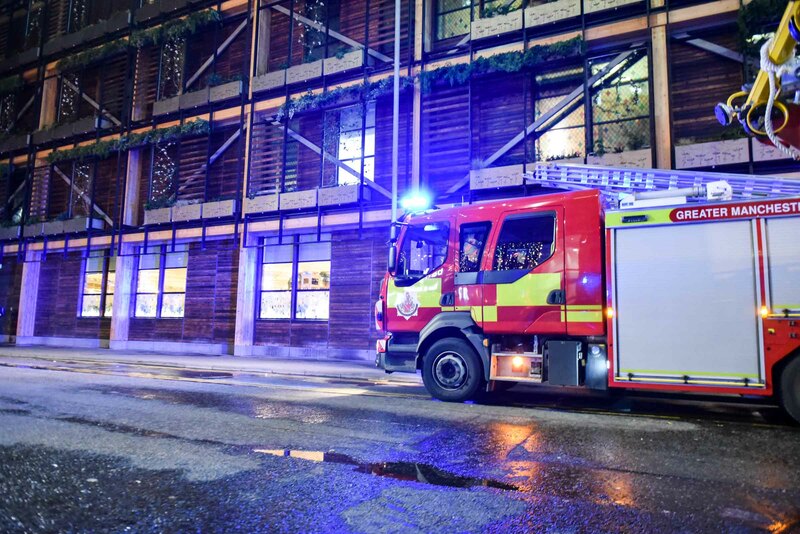 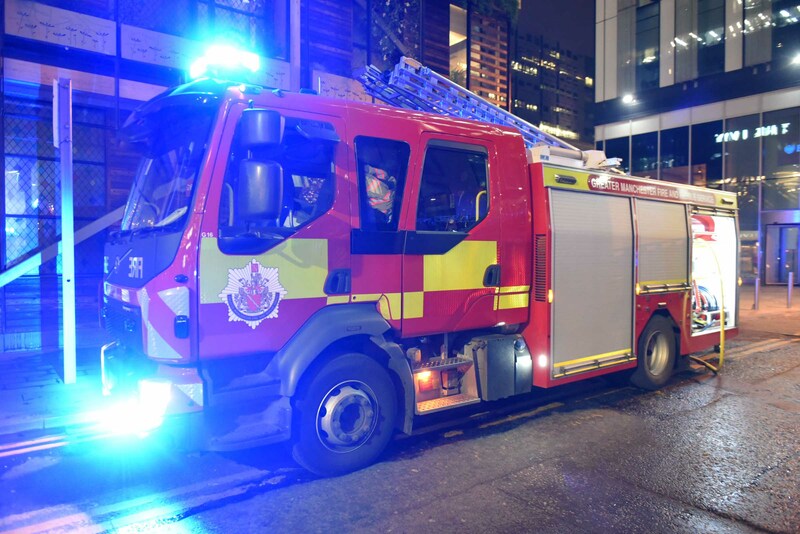 We are currently at the scene of a fire in Hardman Square in Spinningfields, Manchester City Centre. 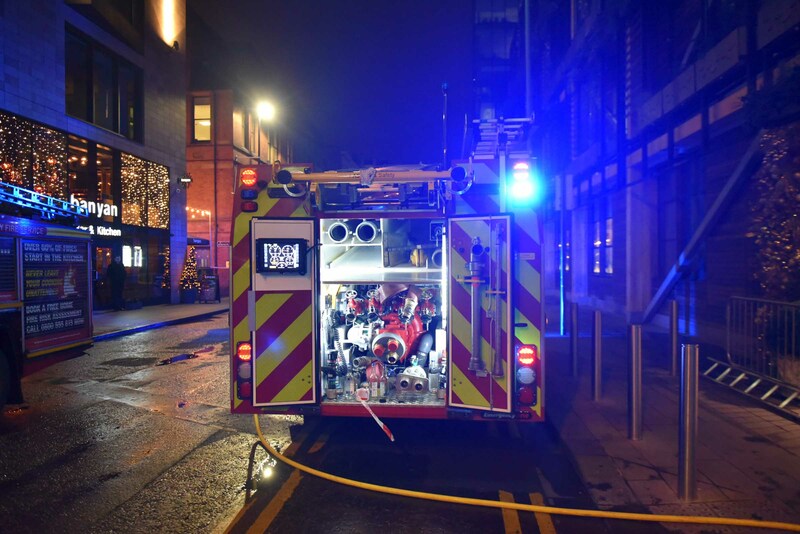 GMFRS was called just before 5pm today to a restaurant and four pumps and an aerial appliance are currently in attendance. 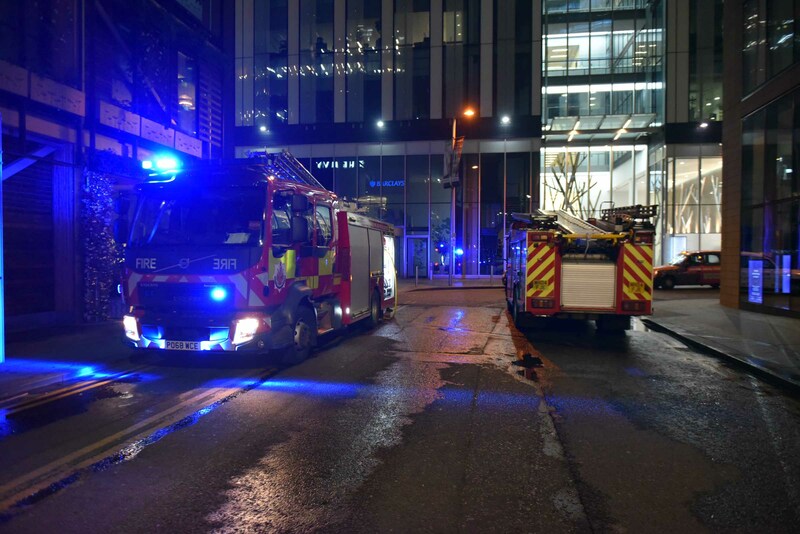 The fire is located on the top storey of the restaurant. 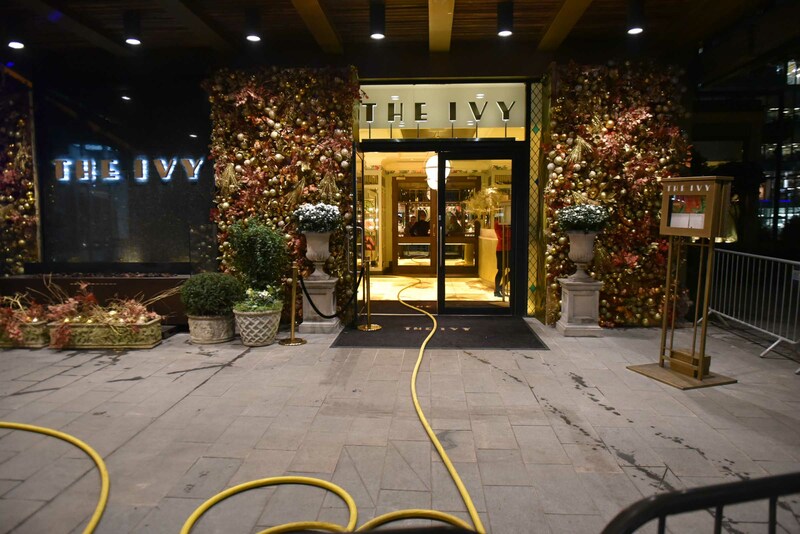 The fire at The Ivy in Manchester City Centre has now been extinguished. 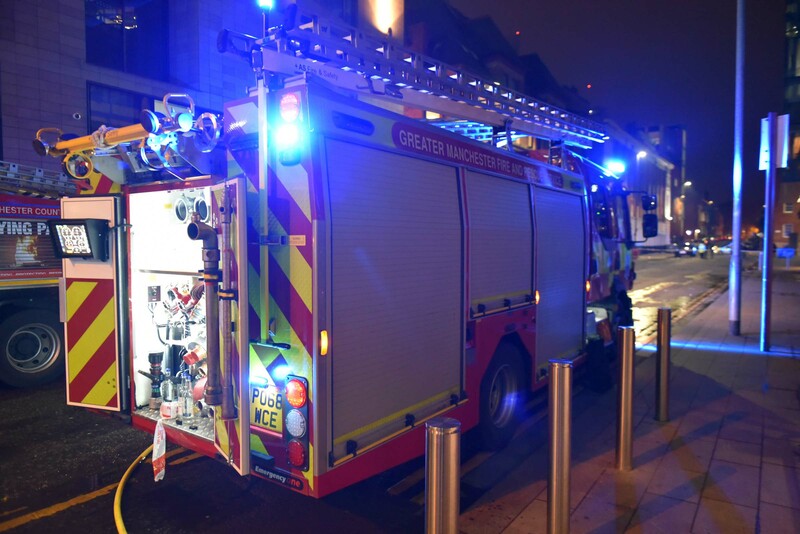 Four fire engines from Manchester Central, Salford and Stretford and the aerial appliance from Stretford used three breathing apparatus and one hose reel to extinguish the fire. 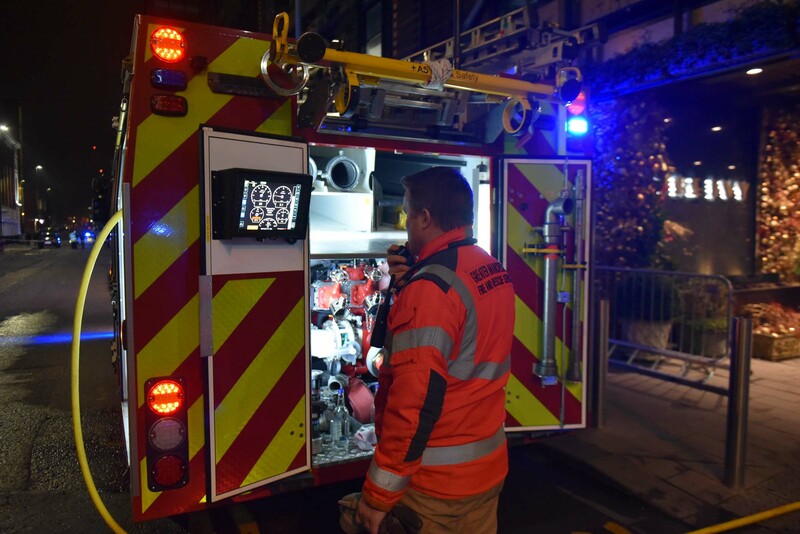 A ventilation fan was used to clear the smoke. 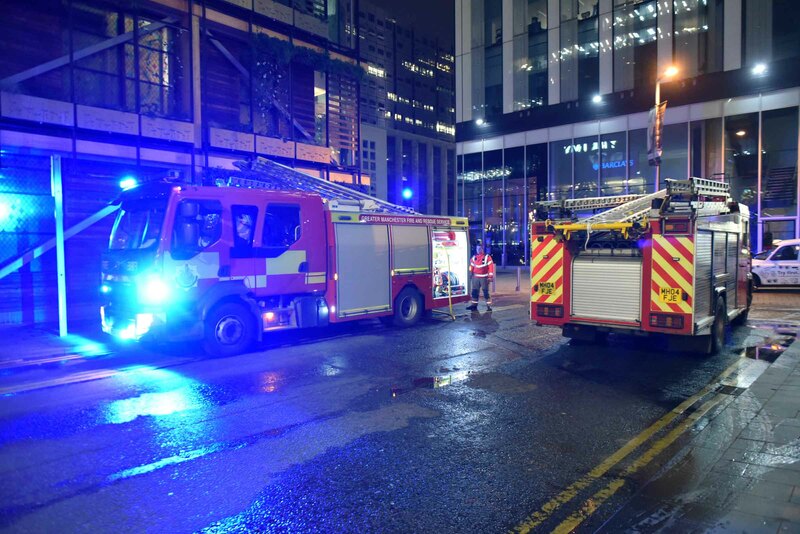 Three crews will remain at the scene this evening to dampen down.